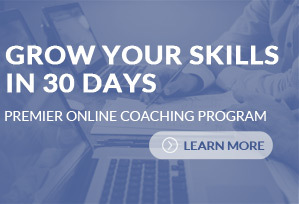 You can now go to the next level in your career development after reading this article by taking Joyce’s newest on line course which includes a coaching session on the phone and a communication assessment. 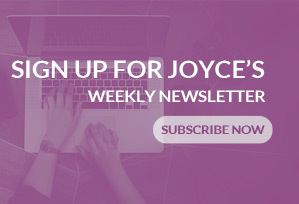 You have the opportunity to work with Joyce on an issue that you learned about yourself during the course. Look for details about this exciting offer below the article. By being Direct With Respect®, you’ll always begin with positive statements and get right to the point. If your conversation is to point out and correct negative behaviors, describe the person’s actions, not their personality. Use language that makes an impact, yet decreases defensiveness. One good way to do this is by using “I” statements rather than “you” statements. Also, use factual descriptions instead of judgments or exaggerations. When should you be direct and speak up? As soon as you reasonably can. If you wait too long, you may forget what you needed to say, which can leave a nasty residue of resentment that can explode at the wrong time ­ or at the wrong person. While it’s difficult to know precisely when to speak up, it’s equally challenging to know when to let something drop. To gain perspective, imagine how important the incident will be in six months. If you think it will still be important, then say something immediately. If it would sound a little silly in six months, then let it drop. Remember, though, telling the truth isn’t a license to dump your negative feelings on others. Strategy 3: Develop positive self-talk strategies that propel your career. Once you realize you’re giving negative messages, make a conscious effort to stop and say something positive instead. Stop focusing on what you feel you don’t do well and congratulate yourself for all your strong points. Also, strive to seek out other positive people so you can support each other. Challenge yourself to break away from negative people who are only holding you down. The more positive you are, the more confident you’ll be at being Direct with Respect®. In return, others will feel more confident about your abilities, thus leading to more future success. Be Direct with Respect® is a new way of thinking and communicating for those who are used to holding things inside. Once you implement Be Direct with Respect®, you’ll find that being direct and truthful will make you self-confident and earn you the respect you deserve. 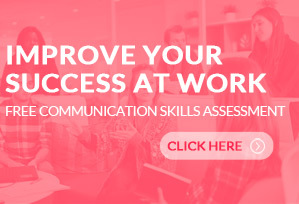 Even more important, as the concept of Be Direct with Respect® takes hold in your company, your employees will communicate better and build stronger relationships with co-workers and customers alike. Before you know it, morale will be up, profits will soar, and your company will be ready to make its mark on the business world. Joyce Weiss, M.A., CSP has earned high praises from hundreds of businesses and organizations for her training and development programs that increased productivity and employee engagement in stifled workplaces where conflict, narcissists, bullying and other unhealthy workflow concerns occurred. She works with clients to build the leadership and communication skills that make them top performers in their industry…which improves their quality of life. Each program is personalized to fit the specific and unique needs of her clients. Adding an element of fun and personalized group exercises make her sessions unique with long lasting results. They learn how to tackle tough conversation. 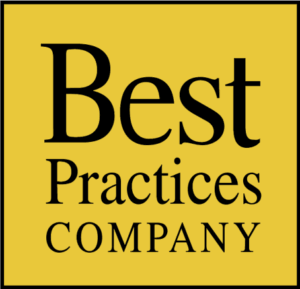 Joyce Weiss Training and Development LLC is Certified as a Best Practices Company. Contact Joyce at 800.713.1926 or Joyce@JoyceWeiss.com.